BaraBOO, (emphasis on the BOO is mine) Wisconsin is a strange place filled with many supernatural tales, but the one that caught my attention is the Phantom Hitchhiker of Highway 12. I just can't resist a good phantom hitchhiker story! 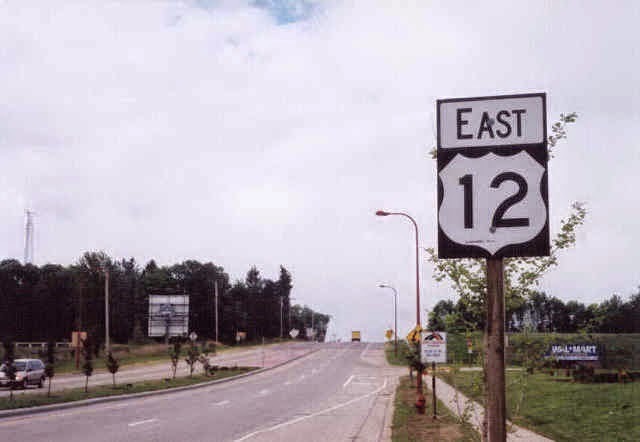 Highway 12 dates back to at least 1917 when it was known as WIS 12. With the 1926 US highway system in place, the road kept the same numerical designation and basically the same path. In 1993, the section of highway through Wisconsin was named the Iron Brigade Memorial Highway in honor of a Civil War Union unit from the area. For years, drivers have reported a man wearing what appears to be a green army jacket from the 1960s and blue jeans walking down the road. In most reports, this man is said to have a dark beard, and long, greasy black hair. Drivers will pass him, not paying too much attention to the scraggly man, but then are overwhelmed when after traveling for about a mile down the road, they see the SAME guy, still walking down the side of the highway. How could this man have gotten ahead of them so quickly when no other cars have gone by? Some brave souls have attempted to give the man a ride, but find that he vanishes from sight before he reaches their car. This particular section of highway has undergone some changes and upgrades in the past year, with more scheduled for the coming years, yet that doesn't seem to have deterred the phantom hitchhiker from making his presence know. The Baraboo Tours Facebook page reported that a sighting was reported on November 7, 2011 by a truck driver. The driver spotted the man about 9:45 pm near Ski-Hi Road. He was spotted again by the S-curve near Skillet Creek. Another witness shared HIS story, in which he gave an excellent physical description of the man, and pointed out that he saw the man for the first time near the airport on the east side of the road and again near the S curve between the cemetery and the trailer park. Although many have tried to find the phantom hitchhiker, no one has yet been able to explain who he is or why he is haunting this particular stretch of road. Wisconsin is Strange, but Baraboo is Bizarre!